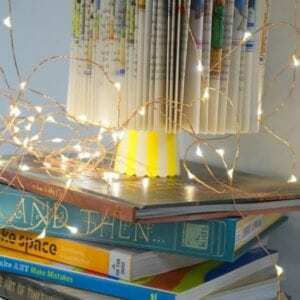 If you’re a teacher librarian in a school, particularly a primary school, Book Week is will no doubt be one of your busiest weeks of the year. Last week was the turn of the Science teachers, with national Science Week, and now it’s our turn to shine. 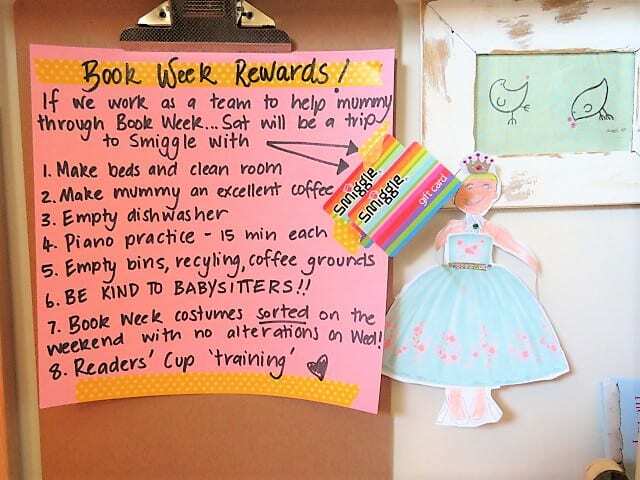 As a teacher librarian and parent, I’ve learnt the hard way (it wasn’t pretty) to organise costumes ahead of time. 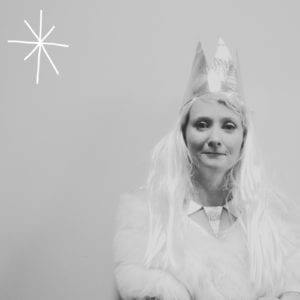 I’ve also learnt the hard way (even less pretty – think A LOT OF SCREAMING) to then get the costumes out the weekend before Book Week, have a trial, and then say calmly, “and on Wednesday morning, there will be NO alterations darlings…do you understand?”. You can see my full range of Book Week costume ideas here, here and here. This year, I present you…PudStar as Pippa from ‘Pippa’s Island’ and ChickPea as Annabelle from ‘Piccolo and Annabelle’. 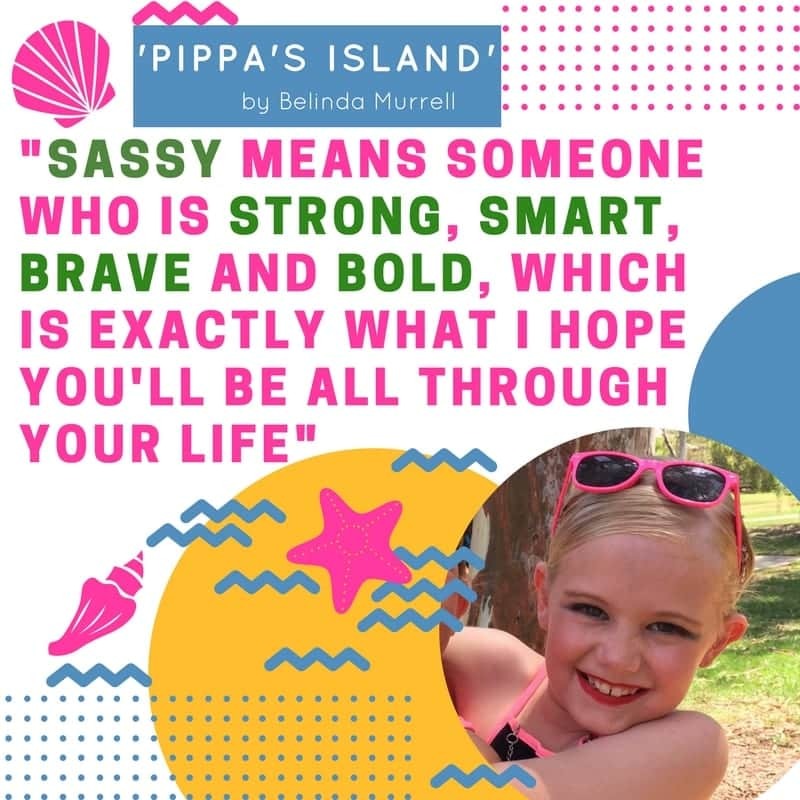 ‘Pippa’s Island’ has really captivated Pud (9), so when I asked her what idea she had for Book Week dress ups this year there was absolutely no hesitation in deciding on Pippa. 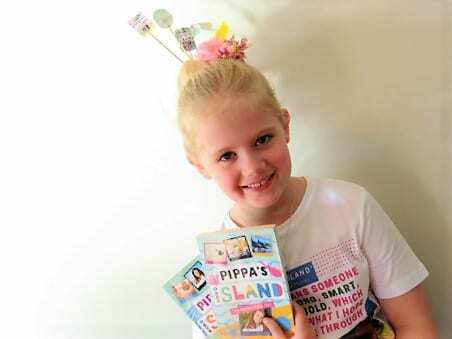 You can see the full review of the ‘Pippa’s Island’ books and an interview with author Belinda Murrell here. In keeping with the island vibe we went with shorts, runners and flowers (and a pineapple twizzle stick!) in the hair. 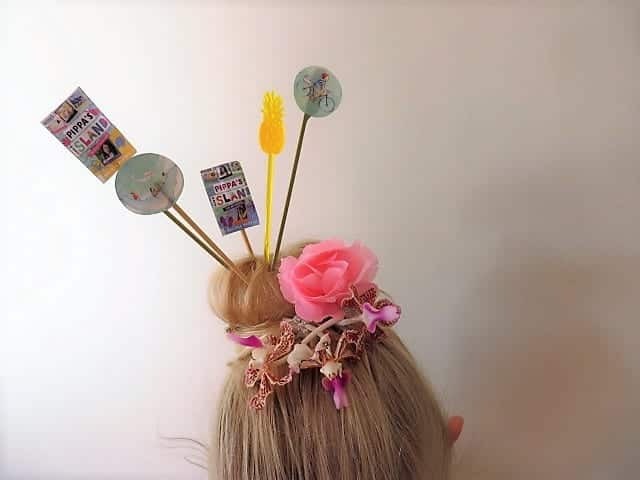 In first the book, Pippa’s mum is starting up a cafe so is trialling baking and smoothies, so we did a cupcake hairbun and a pineapple swizzle stick thing. In the second book she’s a junior reporter – hence the camera. 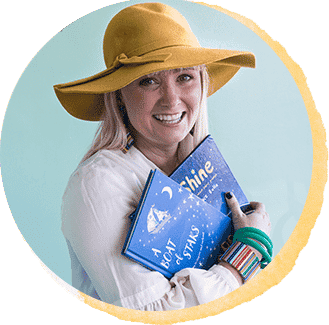 I spent a grand total of ten minutes on Canva typing out my fav quote from the book (a nice empowering one – which she needs ATM), and then emailed the image (below) to Cool Shirts in West End, paid my $18 and the shirt arrived two days later. Winning people. Winning. Take this as a top tip from Megan. So that people know who my girls are dressed as, I always print out a little cover of the book and usually we wear them as necklaces (me included), but Pippa’s bun was crying out for something to go with the tropical flowers and fruit so I’ve shoved some kebab sticks with book covers into her hair. Again…top tip from me :). And now to Annabelle! We recently had Stephen Axelsen come and visit for the day and we had the loveliest day watching him sketch and paint, eating excellent French cheese (and really awful over-smoked olives – sorry about those Stephen! ), chatting about life (and death) and getting a sneak peek at the originals of his latest picture book. 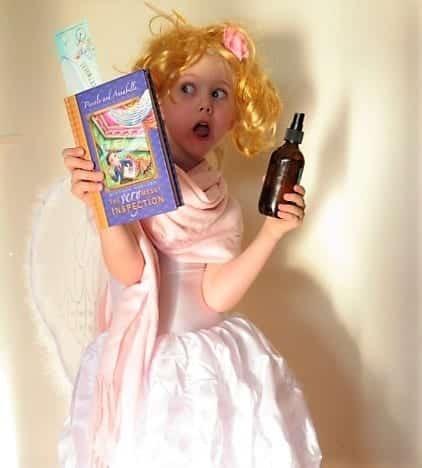 We had read the ‘Piccolo and Annabelle’ series before, but after his visit, ChickPea insisted we read the first book again and she has pretty much been in character as Annabelle ever since. Annabelle is a Guardian Angel, but she is monumentally chaotic, has truly messy hair and has to wear a shawl to hide her angel wings. 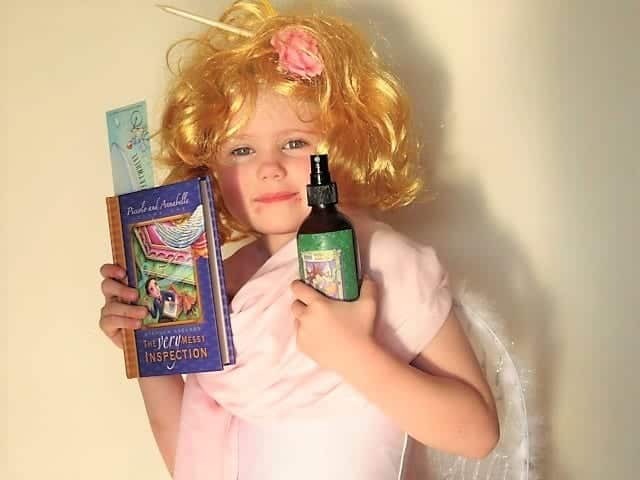 She also carries around ‘Mystifying Spray’ to spray mere mortals if they witness her flying or being magical (not that she’s very good at being magical!). 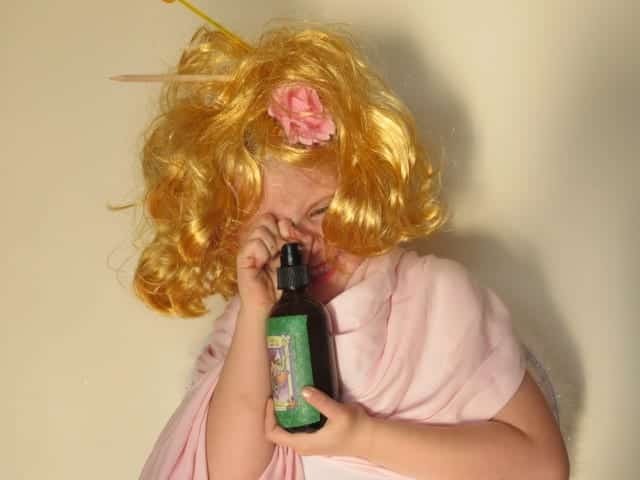 ChickPea has laughed until she cried spraying people with her ‘Mystifying Spray’ (water and a drop of lavender and orange oil) and absolutely loves Annabelle’s bumbling ways. So again…it was an easy choice of costume and in fact all I had to purchase was two really messy hair bun curl cover things – I really have no idea how to describe the hair things but they were $2.00 each at the cheap shop! She is beside herself with joy. I’m going as ME from ‘Lucy’s Book’, and I’ve even managed to talk dearest Rachel (our very long term homestay student from Macau) into dressing up, which is no mean feat. 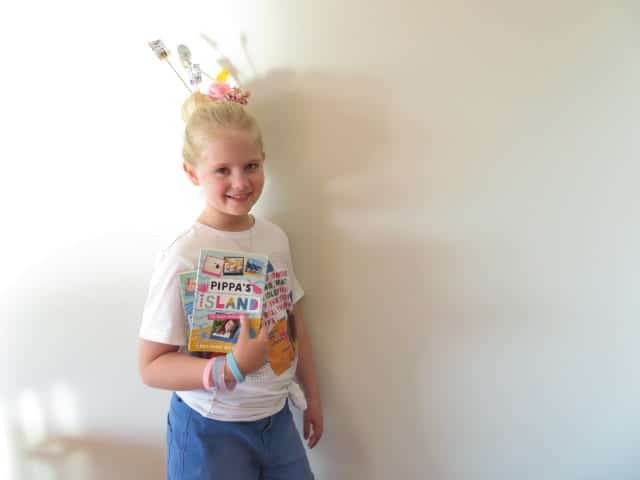 She is going as Kumiko from ‘Kumiko and the Dragon’, one of the books in our Readers’ Cup competition this week. 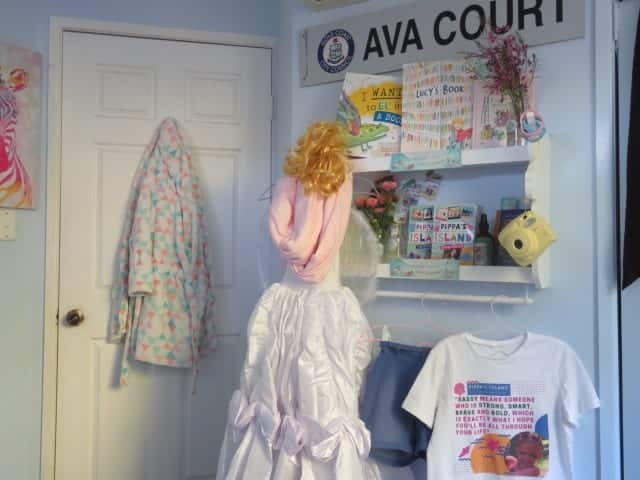 She really didn’t want to dress up, but as her friends pointed out – she lives with the school librarian…and she gets to wear her cute pyjamas and even cuter little hair buns to school so really it was a no brainer. Just remember girls…no changing your mind on Wednesday morning okay? Oh this is fabulous!! I’m trying to think of ideas for when I finally get teaching.. we teachers can totally join in on the dressing up right??? Love these so much Megan and your creativity but also showcasing Australian Authors and new books to love. You are wrapped in my thoughts hearts and prayer today as you grapple with Bookweek 2017 without your man, and all its busyness and then plus the online weird world that has sucker punched you this morning. Go the cheese, olives and lighter things. I can not thank you enough for your lovely comments this week! Love your ‘to do’ poster!! 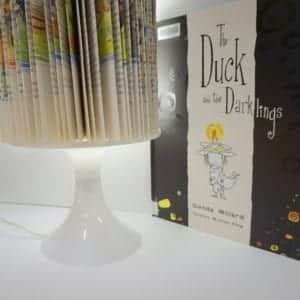 Great Tshirt idea – need one with paragraph from 91 storey treehouse page 312 – knowledge & imagination. Needless to say I went as Madame Know-it-all!! !